Usage: Glass Working, Parts Reclamation, Metal Spinning, etc. We have gained recognition as an eminent enterprise, devotedly engaged in manufacturing a broad range of Heavy Duty Lathe Machine. 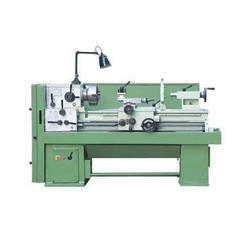 - A lathe machine is used for the shaping and machining of various work pieces. We are manufacturer of all type of Heavy Duty Lathe Machine. 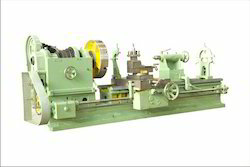 Such as Medium Duty Lathe Machine, Heavy Duty Lathe Machine, Extra Heavy Duty Lathe Machine . Banking on our vast experience in this domain, we are engaged in manufacturing quality assured Lathe Machine. These devices are useful for accurately machining relatively hard objects. Industries such as ship building, mining, textile, and power plants, repairing shops, steel rolling mills, workshops, paper mills, tool room, etc. use this equipment.